Another from the the Vivienne Westwood designed windows at Selfridges in Oxford Street. I have no idea what this one was supposed to be, but she looked pretty creepy without all my tinkering with the image. 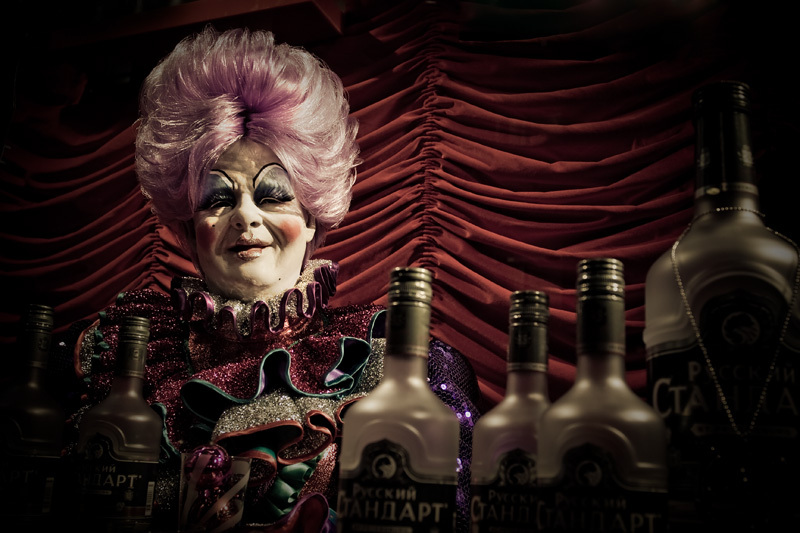 It was the strewn bottles of Russian Ctahoapt vodka all around her that did it for me.